There is no doubt that rail travel has let us all down. And among the weary complaints about delays, overcrowding and ticket prices, let us not forget the sad decline in comestibles. The three-course meal has given way to “snacks and hot drinks”; the dining car has given way to the trolley; and the proper bottle of wine has given way to the single-serving miniature. It’s not good enough! Where are the white tablecloths, the silver service, the wine waiters? Where, indeed, the bottle of decent claret? Can nothing be done to restore the former splendour of travel by rail? 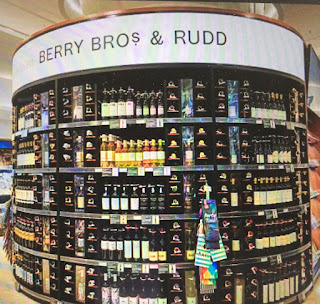 Well… fortunately for us all, Berry Bros & Rudd, Wine Merchants to Her Majesty the Queen, are trialling wine sales in London Bridge station. They are offering a range of wines, up to more than £40 a bottle – proper, serious wines of a calibre which might, at one time, have accompanied a meal in a dining car. Her Majesty may remember such things. There will be those who point out that this London Bridge store also has gift bags available, suggesting that customers might be buying a last-minute bottle to take to a party. Others will observe that the same station outlet sells convenience ready-meals, to be heated up at home, which a bottle of wine might be taken back to accompany. Quiet, I say. Nothing of the sort. It is clear to me that Berry Bros, drawing upon their splendid pre-Beeching heritage, are simply providing a decent bottle of wine which we can drink on a train, in order to recapture the splendour of rail travel past. It could be difficult, mind you. The majority of the trains out of London Bridge these days are what I call putt-putt trains. They have electric doors, no tables, and their seats are hard, virtually unupholstered, and don’t even have antimacassars. Surely airline style seats are best suited to an airline style airline? But really it is irrelevant what the seats are like, because a seat is something you are not likely to have. These are trains typically rammed to the gills. You will therefore be savouring your wine while standing. Still, mind the doors, and let us depart. Those foolish enough not to carry a corkscrew will have to resort to buying a screwcapped bottle, losing several points in the battle for tradition which this exercise represents. Those foolish enough not to carry a wineglass are clearly not taking this opportunity seriously. One of the very few advantages of standing up on a train journey is that it is easier to open a bottle of wine. The bottle is easily held between the legs while the cork is pulled. Removing it while seated requires significant elbow room, room which for some reason has not been accommodated by the designers at Bombardier. The sound of the cork being removed will be likely to turn heads. That is not curiosity you see. It is envy. The opened bottle will have to reside in the side pocket of a blazer or coat, but it will become progressively less of a burden. One hand is free to hold on to the glass, and one to hold on for dear life. From personal experience, I suggest you pour while the train is stationary. Remove your consciousness as far as possible from the surrounding experience. Try to shut out the frequent reminders that you are on a modern train, arising mainly from the many mobile phone calls which begin, “I’m on a train…”. Ignore the fascinating arguments between travellers and ticket inspectors about the validity or otherwise of someone’s super off-peak special discount Roustabout return And don’t become intrigued by your fellow travellers – sorry, customers – or start wondering just what it is that that mother is planning to give her child which will be something to moan about. No, bring to mind a bygone age of train travel in comfort and luxury. Sip your fine wine. Try and channel the Orient Express, but without the murder. Or the Channel. And you should find that you arrive at your destination in a significantly better frame of mind than usual. You will not get cross when it is announced that yours is the next “station stop”, wondering how that might differ from either a “station” or a “stop”. You will not fulminate at the exhortation to “make sure you take all of your belongings with you”, despite the fact that most of your belongings remained at home throughout. For you will have enjoyed a glimmer of rail travel past, provided by Berry Bros & Rudd. Sooner or later I was going to come across wine in a can. I just didn’t expect to come across it in Waitrose. I’ve encountered a wine spritzer in a can before, although that was technically an “aromatized wine product cocktail”; but here from Waitrose is a genuine, still wine in a can. And organic wine at that. Now, it may just be me (it usually is), but isn’t there something a bit odd about an organic wine in a can? A can? Yes the can is recyclable, but if not in a glass bottle, I somehow expect an organic wine to be packaged in something natural, like a goatskin or a sheep’s stomach. 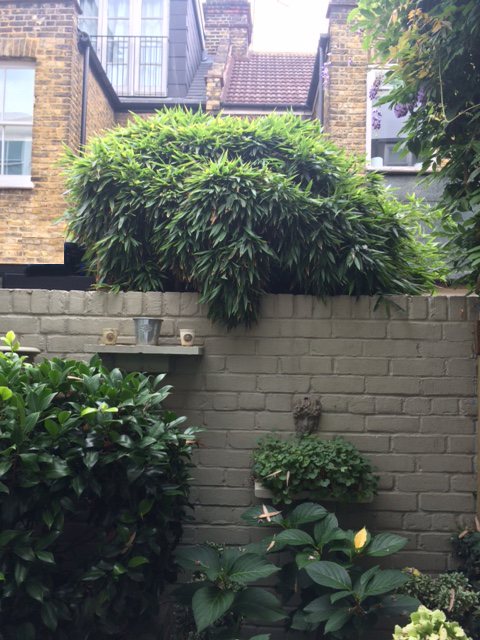 Or bamboo – it must be possible to create a bamboo carton, given that so many things are being made out of bamboo these days, like bicycles, and t-shirts, and a complete mess of the view over my back garden wall. Still, there’s a little graphic on the back of this can which tells me there is neither bisphenol-A nor phthalates present, which is an enormous relief, because I have spent so much of my wine-drinking worrying about them. In the case of bisphenol-A, I was worrying what the hell it was, but a Newsweek feature on it was headlined BPA Is Fine, If You Ignore Most Studies About It, which I fully intend to do. In the case of phthalates, I was just worrying how to spell it. This is a little, single-serving can, like the ones they use for mixers on trains. So the next time you’re on a train, and they are “passing through the carriages with cold drinks and snacks”, you can ask them why, by the time they reach you, the trolley only has soft drinks and biscuits, when they could have cans of wine. And they can ask you to shut up or get off at the next station. Sorry, “station stop”. The packaging of this rosé must be aimed at women – that’s according to Mrs K, by the way, so don’t start on me. It’s a lurid, Barbie pink, a shade which doesn’t reflect that of any normal rosé wine. And it's graduated, from lighter at the top to darker at the bottom, which I also hope is not reflected in the wine. The buzzword for canned wine in the US is “poolside”, where obviously broken glass is a hazard; but I don’t think the idea of drinking wine “poolside” is going to be big in the UK’s municipal baths. Here, despite the fact that most of them stop you taking in your own drink, they are saying that cans are good for festivals, where glass is also banned, and where cans are presumably a better missile. So I assume, with all of this glass-free malarkey, that the intention is to drink this wine straight from the can. You’re unlikely to be pouring it into a wineglass, if glass itself is banned. So it would be unfair to taste it from a glass. I think I need the entire fist, ring-pull and drink experience. And it’s odd to open a ring-pull can without hearing an accompanying pffft. It’s as if your mixer has gone flat. 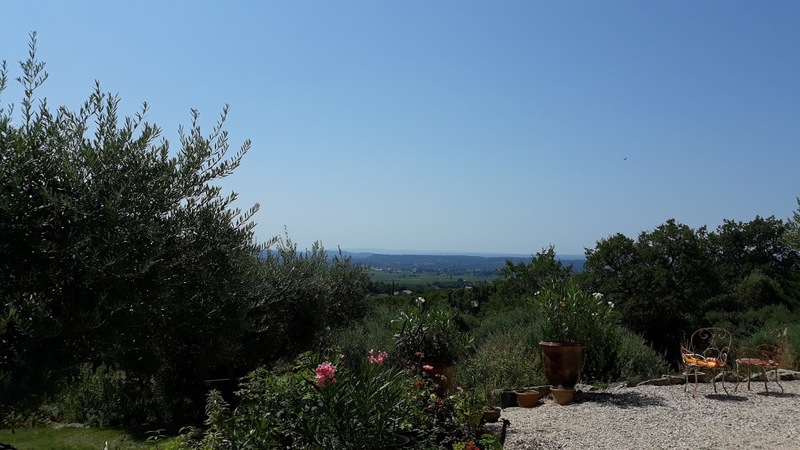 In fact, this rosé is mildly petillant – also mildly fruity, in that nondescript, rosé manner, and mildly coloured, if the little sluicing around the lid is anything to go by. In fact it's mildly everything, in particular annoying. Because you can’t see it, obviously, and after the initial opening you can’t smell it. You’re holding it by two fingers, because it’s too small for a fist, and while manufacturers are right to say that wine in cans chills faster than in glass, that also means that it warms up faster too. And it’s so small, you can’t really judge when it’s coming to an end. Swigging it from its little, rapidly-warming can, deprived of so much of the wine-drinking experience, I found myself wondering – why would I do this? Look, I’ll drink decent wine out of anything. If someone filled it with Lafite, I’d drink wine out of a chamber pot. But let’s not take all of the sight, the smell, the sensations and the style out of drinking wine, in the name of convenience. Or in the next instalments of lowering the quality of life, we can expect caviar in pocket-friendly crisp bags, smoked salmon in wallet-sized pouches, and bag-in-boxes of vintage port. Wow, look at the size of that wineglass! It’s as big as an entire bottle of trendy rosé! Well no, actually. This is rosé wine in a teeny tiny 25cl bottle. There are two shelves full of these little pocket-sized buggers, 20cl and 25cl, on sale for around £3 at my local M&S. And they are in the supermarkets, too, at about £2. You can hunt in vain for a decent selection of half bottles, let alone some of those clever 50cl, 2/3rd size bottles I wrote about recently. But I walk into an M&S, and there are shelves full of Lilliputian bottles, an astonishing range encompassing wines of all colours and kinds. I presume they are targeting people who just want “a glass of wine”. Perhaps that’s why I’ve never noticed them before. Or people who only have the ready cash for a third of a bottle? No, they wouldn’t be shopping in M&S. Or are they for cooking? Recipes casually call for a “wineglass” of wine, without ever specifying the actual size. Is that a white wineglass – or a red? A Paris goblet – or a Riedel bowl? Whatever; a mini-bottle is precise, and better than opening an entire good bottle to fuel a coq au vin, even if that’s the perfect excuse to finish the said good bottle. Perhaps these dollshouse drinks could be handy on a picnic? 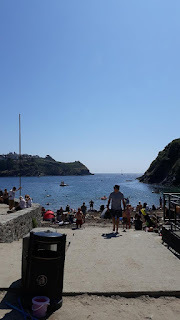 I ask this warily because, between Mrs K and I, the difference between a picnic and a packed lunch has been the recent subject of an interesting discussion (or, depending on which of us you are, "a pointless argument”). My notions of a picnic require, for example, an aesthetic venue (you can’t have a picnic on a bench); shared foods (you can’t have individual sandwiches on a picnic – that’s a packed lunch); and plates (whereas you can eat a packed lunch out of your individual Tupperware boxes). And a picnic certainly involves wine, which a packed lunch certainly does not. Cute little screwcap bottles, each to their own picnicker’s colour and taste? Seems like a good idea. There are other advantages to the mini-bottles. If you’re my friend Anthony, they’re ideal for trousering into a certain Premiership stadium, so that his wife Sue can enjoy a decent glass of wine rather than the filth they serve in their bars. You could put them out for dinner guests who want to monitor their consumption precisely, or for that one person who wants just a glass of white when everyone else is sharing a bottle of red. And they’re wonderful if you want to play at aeroplanes, since these are in-flight size. To enjoy this game at home, simply divide one person’s supper into two tiny meals, transfer them into foil cartons, then sit by your partner on a sofa eating them from trays on your laps. For added authenticity, every so often, lurch violently. And you will find that your tiny bottle of wine inexplicably morphs into a luxury item, a reflection of status, an indication that you are a glamorous, international jet-setter. By restaurant and even pub standards, £3 for a glass of wine is pretty good value. I went for this one because I fancied a rosé on a hot evening; because it was 25cl rather than 20cl (that extra sip makes all the difference); and I was intrigued by a bottle with a figure like a Barbie doll. I am also amused by the idea of a miniature of rosé, in an era of yacht rosés in giant bottles the size of fire extinguishers. Sadly the wine itself was a disappointment. I thought it was tight, sharp, and lacking in fruit flavours, but with an edge of bitterness like a soluble aspirin, the sort of taste you get in your mouth when someone has just sprayed a fly. M&S is kind enough to do the maths, and tell us on the shelf that this £3 miniature represents £9 for a full 75cl bottle – at which they do indeed sell it. I wouldn’t pay it, but there it is. But, hang on a sec – because that is actually extraordinary. Here is a third of a bottle – at a third of the price. We’re used to half-bottles being well over half-price, which retailers blame on fixed costs like bottling and transport. But you can pick up these miniature bottles of wine at the same price pro rata as a full bottle. Having accepted the half-bottle excuses over the years, I don't understand how this works, but it seems to be the case. So you can enjoy all of that stuff above – the fun, the convenience, the variety, the portability, the smaller initial outlay – without it costing a penny more.